Last night we had a small flood at the church. Despite the fact that the heat was on and it was above 65 degrees in the church one of the pipes in the utility area broke. Thankfully this was clean water and thankfully it happened right before the scheduled evening services. Thank you to all who arrived ready to pray at the services and ended up cleaning up the spill! We have hope that the damage will be minimal, but we need time to fully clean everything up, repair the pipe, and dry everything out. 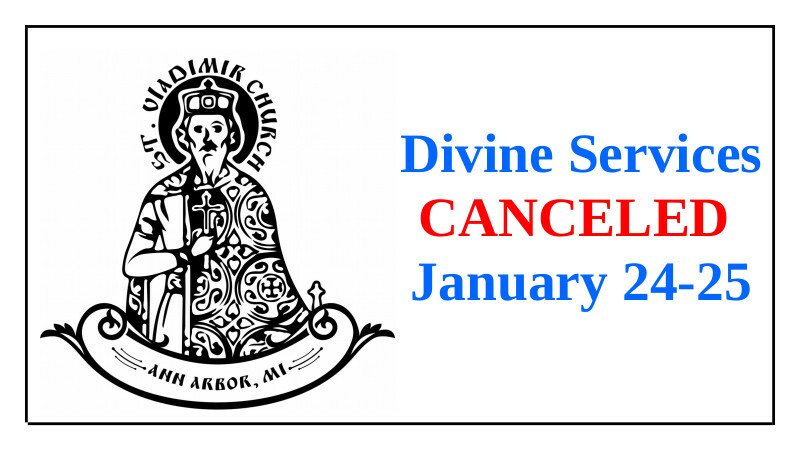 Therefore, we will cancel the services for St. Tatiana slated for tonight (1/24/19) at 6:00 p.m. and tomorrow (1/25/19) at 8:00 a.m. We ask forgiveness for the inconvenience, especially of our Tatianas who are celebrating their name’s days tomorrow! May God grant you many years! The weekend schedule should not, God willing, be effected in any way. Please join us as your personal schedule allows! Congratulations to our Tatianas with their names days! Tonight's Adrian Bible Study is canceled due to road conditions. Paved roads are passable and safe by and large, but unpaved roads are still unpassable at this hour, and freezing rain and snow is in the forecast. Like to start a Bible Study in your neighborhood? 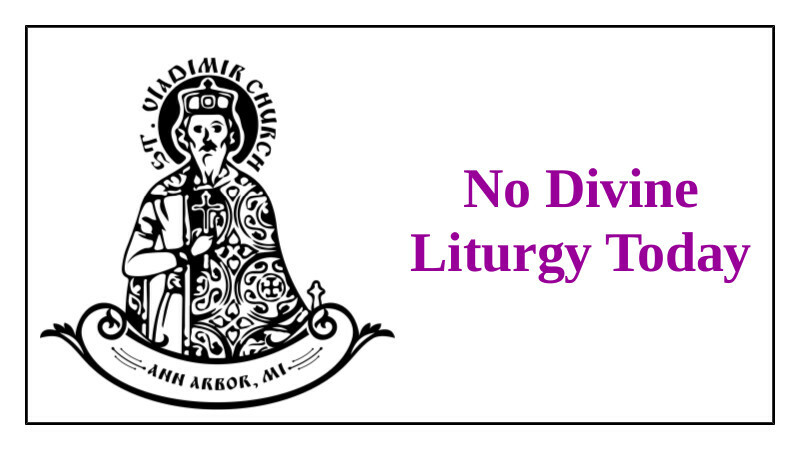 Please contact us at info@stvladimiraami.org or 734-475-4590. Congratulations to all with the Great Feast! Thank you to Fr. Moses for leading this morning. I’m still fighting whatever is causing me this headache. Please remember me in your prayers! There will be no vigil tonight at St. Vladimir’s. By tomorrow morning the parking lots will be clear and so should all the roads, so unless something very unexpected happens we will serve Liturgy as scheduled at 10:00 a.m. tomorrow. Thank you for your understanding. Please pass the word to those who you know or suspect were planning to attend vigil that there will be no services tonight. I ask your forgiveness. I have a bad migraine headache this morning and it will be impossible for me to serve. There will be no services this morning. God willing all will be well by this evening and we will hold vigil at 6:00 p.m. as scheduled. Let me take this opportunity to remind everyone that today is a fast day. Please find pictures of our fall Church School Jeopardy at the link below. Pictures of the Nativity Ball are BEGINING to be posted on our photo album. We know there are many more! 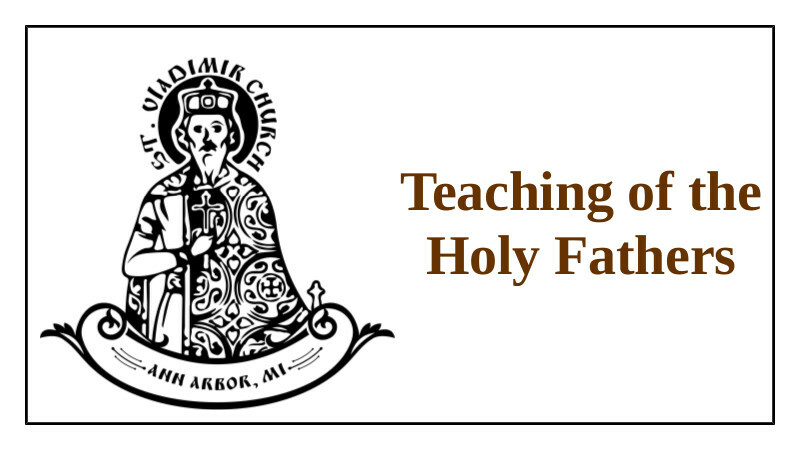 Please send your pictures to info@stvladimiraami.org. And please have a look at the great pics that are already posted! 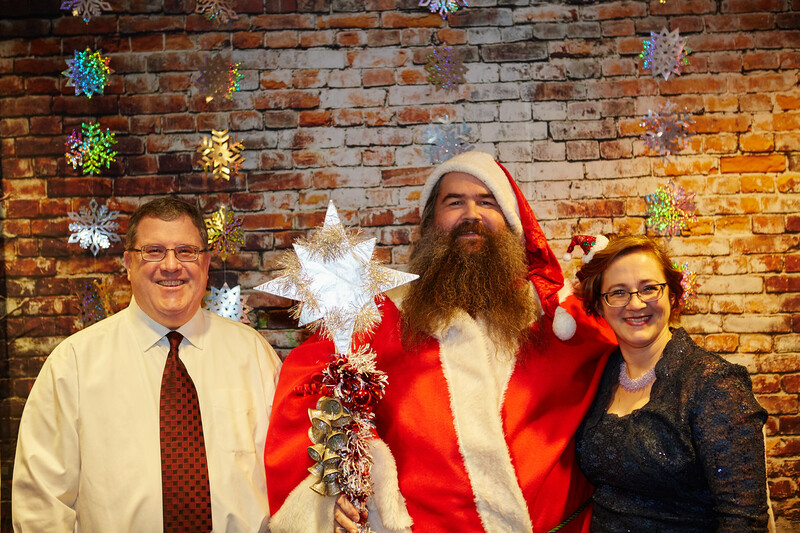 Please find the photos from St. Nicholas Day at St. Vladimir's at the link below.